The more science has been diving into the realm of nature, the more we have discovered the connectivity between us and the living world around us. Priscilla Stuckey dedicated her life to searching for this connection with nature in order to truly connect with who she is. This fantastic book tells the story of her communication and interaction with the spirit of the bear which acted as the messenger between her and the spirit world. The lessons which she imparts on her are deeply impactful to the growth and development of spirituality in this life. It also gives us, the readers, the possibility to connect to spirit in our lives. It’s an excellent read for a nature lover trying to connect more with the spiritual aspects of things as well as for a spiritual person trying to grow their connection with self. In an age of materialism, language of spirit or spirits seems at best suspect and at worst alien or naive. When Priscilla Stuckey begins hearing Bear's voice, she is a writer and religious studies professor in her fifties. Though she enjoys communing with trees and birds and the land, she intellectually knows better than to try talking directly with spirit. 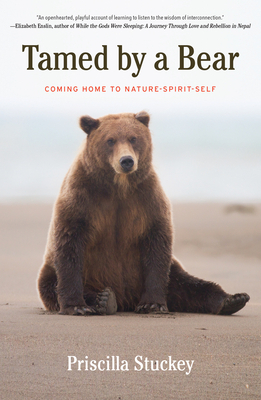 Tamed by a Bear shows one person responding to the call of her heart, which is also the call of Earth to all human beings today: to listen to a more-than-human wisdom so people can address the social and environmental crises facing the world. PRISCILLA STUCKEY is a writer and spiritual counselor with a passion for reconnecting people with nature, including their own natures. 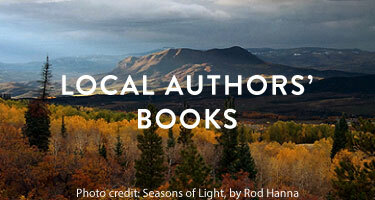 Her first book, Kissed by a Fox: And Other Stories of Friendship in Nature, won the 2013 WILLA Award in Creative Nonfiction. Stuckey received a PhD from the Graduate Theological Union in Berkeley, California, in religious studies and feminist theory. She has taught humanities and writing in the graduate programs of Prescott College and Naropa University. She lives at the base of the Sandia Mountains near Albuquerque with her partner, Tim, and their dog, Bodhi.